Brilliant Comedy Central show Key and Peele debuted in 2012, and it ends tonight (sniffle). 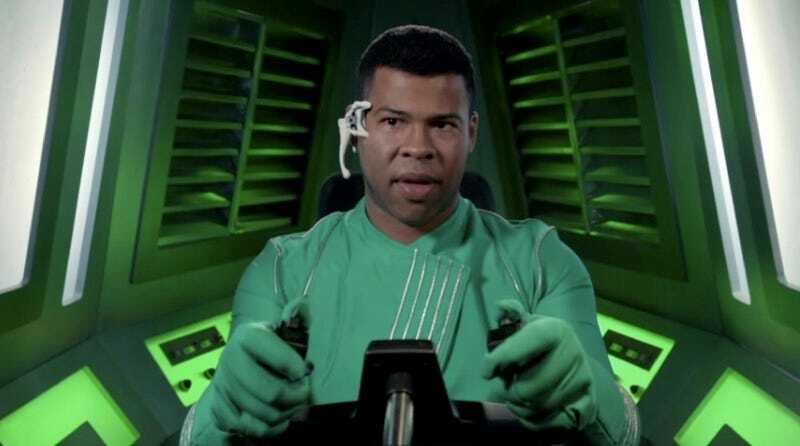 Over the past five seasons, Keegan-Michael Key and Jordan Peele have hinted at their not-so-secret geeky leanings on several occasions. Here, we compile our favorite nerdy moments from the show. The excitable, fond-of-pluralizing-everything valets—two of Key and Peele’s most endearing recurring characters—pass the time between customers by wondering why would you mess with the Batmans? A pair of tough guys are about to take each other down... when they realize they both share a love for a certain YA vampire romance series. Though they can’t quite put their differences aside, they form a special bond over their support of Team Edward. The legendary Stan Lee crashes a meeting of initially thrilled Marvel staffers to pitch a slate of new characters with dubiously desirable and oddly Stan Lee-specific powers. We already shared our love for this sketch when it aired last week, but... “well, actually” ...these nuggets of spot-on Neil deGrasse Tyson parody will clearly never get old. A brand-new creature of the night is more interested in “future cars” than decadence and leather pants, to the annoyance of the head vampire.